I used a beautiful soft, self-striping yarn for the body of this hat. 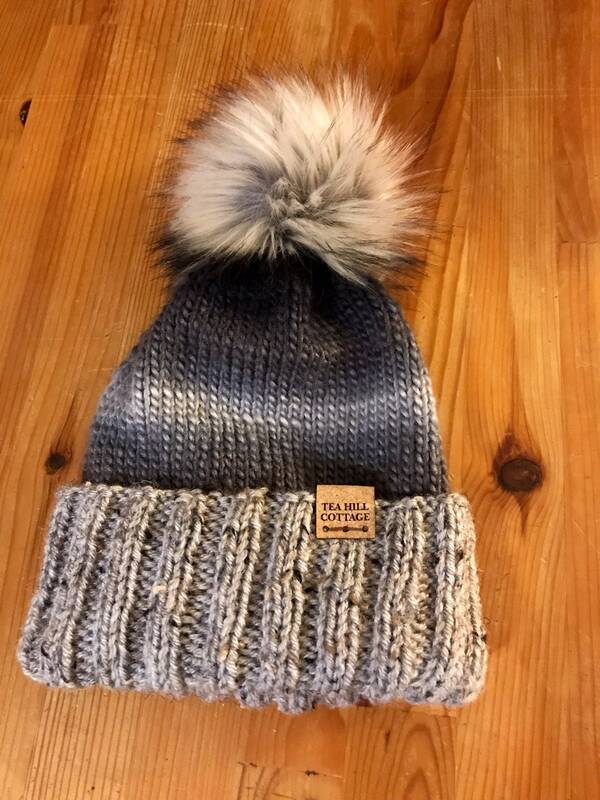 I added a gray colored tweed fold up brim so your ears will have two layers to keep you extra warm. 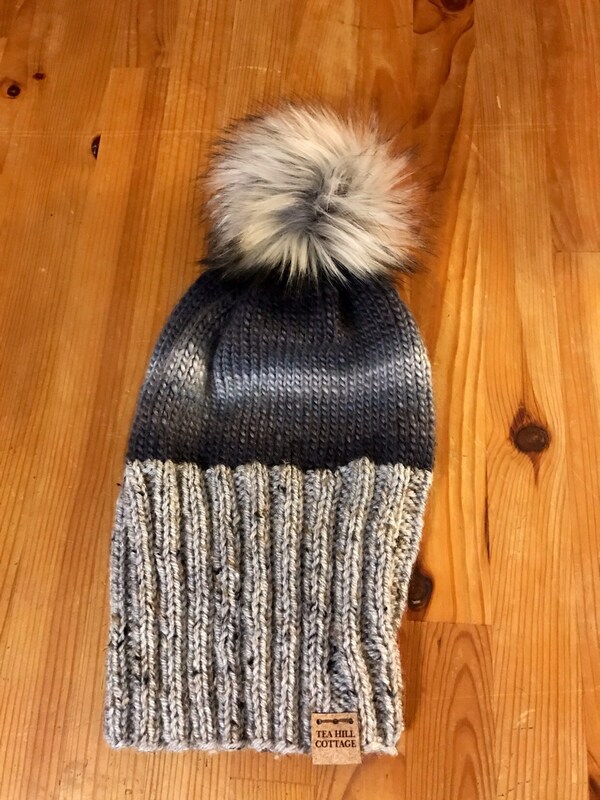 A beautiful faux fur pom pom and cork label finish off the hat with style!! This hat fits the average woman’s head. Please spot clean only. Not at this time, but feel free to message and discuss details.